Savvy shopper Denis Hennessy was curious about the individual capacity of various AA cells after realising that unlike other products in the supermarket, there is no tangible way to compare capacities before purchase. That is - we can see units per dollar for foodstuffs (etc) but not mAh per dollar for disposable batteries. Therefore Denis created a battery discharger based on an Arduino board. It works by simply discharging the cell under test using a bank of resistors as a load, and measures the voltage using the Arduino's analogue input. 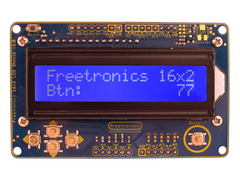 The required data is displayed on an LCD and also sent to a PC for logging and analysis. Although not a perfect analysis tool - it does provide interesting results for the various brands of batteries. For more information and design plans, visit Denis' site. Plus we're on twitter and Google+ - so follow us for news and product updates as well.